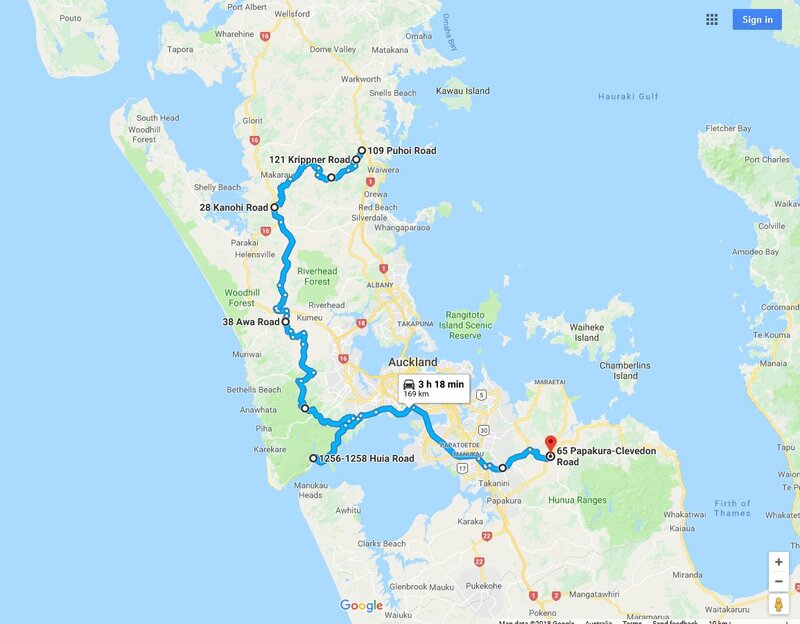 NOTE: Avoiding Auckland's bottleneck is impossible, but the less time spent in the inner suburbs, the better. 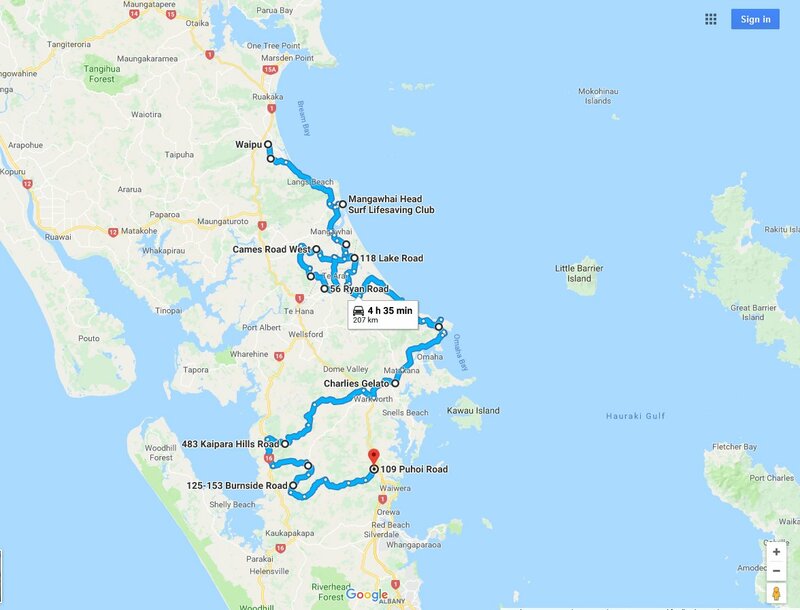 Clevedon is another arbitrary location picked for a variety of reasons...it's only 10km off the main SH1 Motorway, it's semi-rural and has good parking, space, pub, shop and cafe....and above all, sits at the head of some neat backroad-routes, sealed + gravel alike. THERE ARE TOO MANY EXCELLENT OPTIONS, EACH MORE WORTHY THAN THE NEXT, THE 2 ROUTE-BRANCHES WILL REJOIN FURTHER SOUTH IN WOODVILLE.